We built a playhouse! Last year : ) This post has been in the works for a while now. 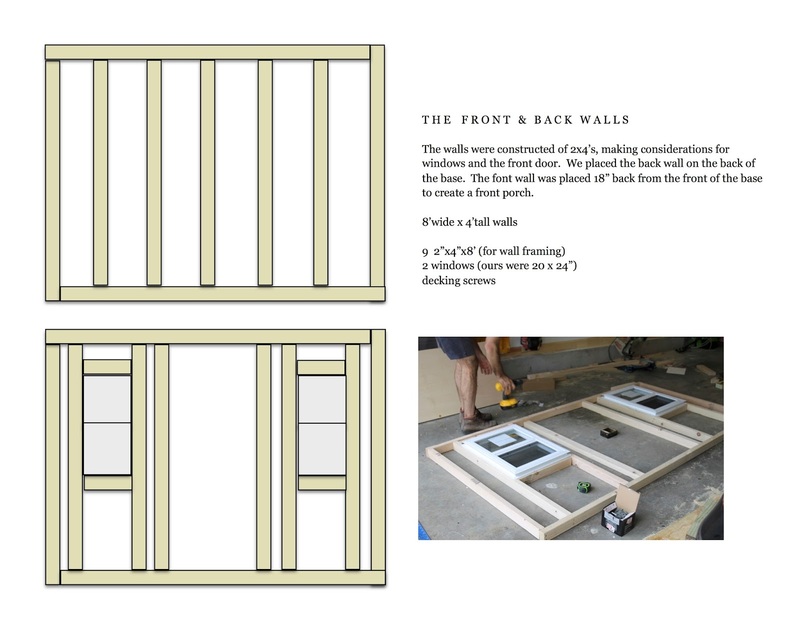 Every time I thought about writing it, I wanted to wait on something for the perfect picture - first being the window boxes that needed building, then the boxwood hedge on the sides that needed planting... then the flower boxes that needed re-painting. 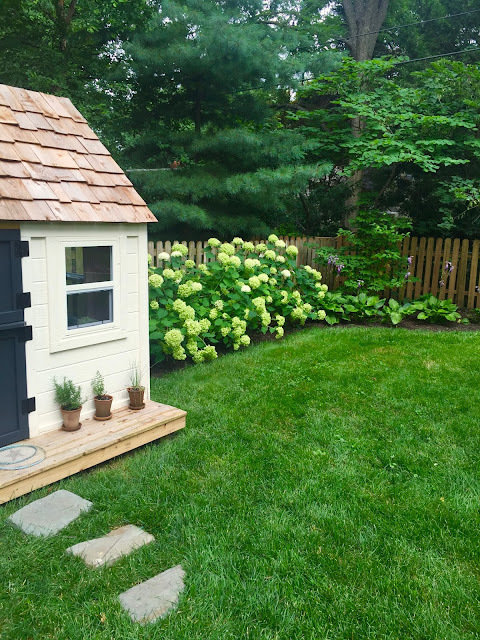 Then, I almost delayed even longer to wait for the hydrangea hedge to fill in on each side. 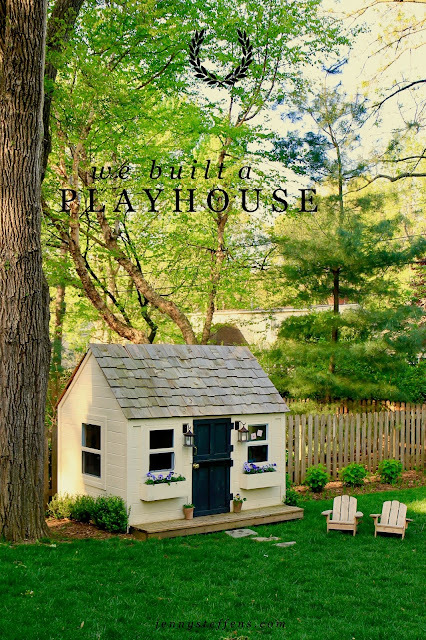 I decided just to go for it and show you a compilation of the playhouse from the past year - some photos in spring, like here, some with the hydrangea in full bloom, and some in the fall (below) with beautiful autumn colors. We built the playhouse for Emma last spring. 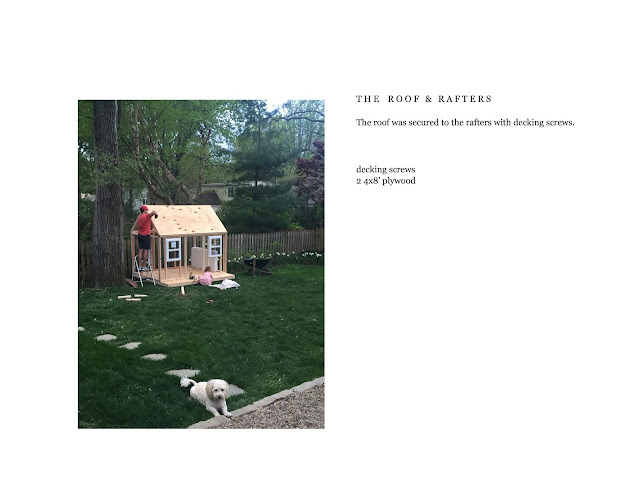 It was our favorite project to date! It took a solid weekend, and about $600. 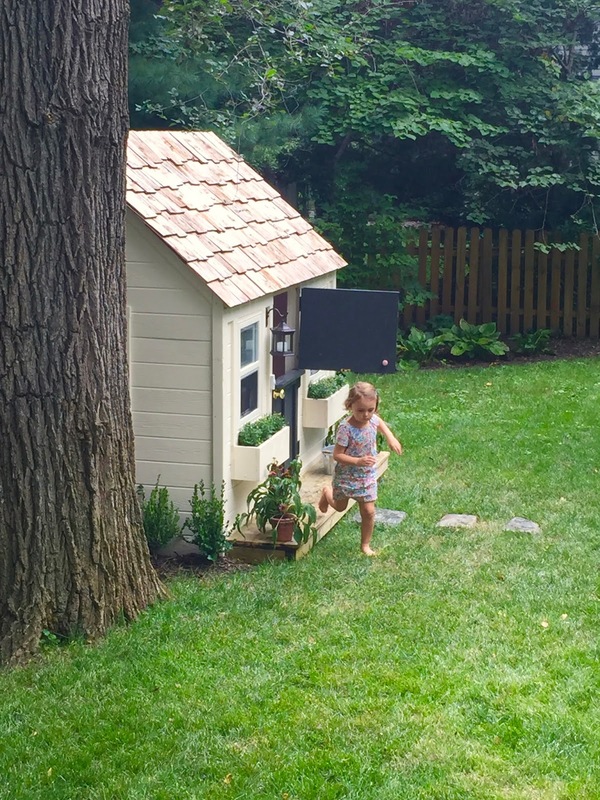 We don't have any other play structures or swings in our yard, so it is really our only "kid" activity... besides buckets of bubbles, balls and chalk. I like Emma to explore the backyard, the garden, the dirt, the flowers and the grass, vs. being entertained by a jungle gym, so we opted to not invest in big kid-only toys in the backyard. That is, besides the playhouse. 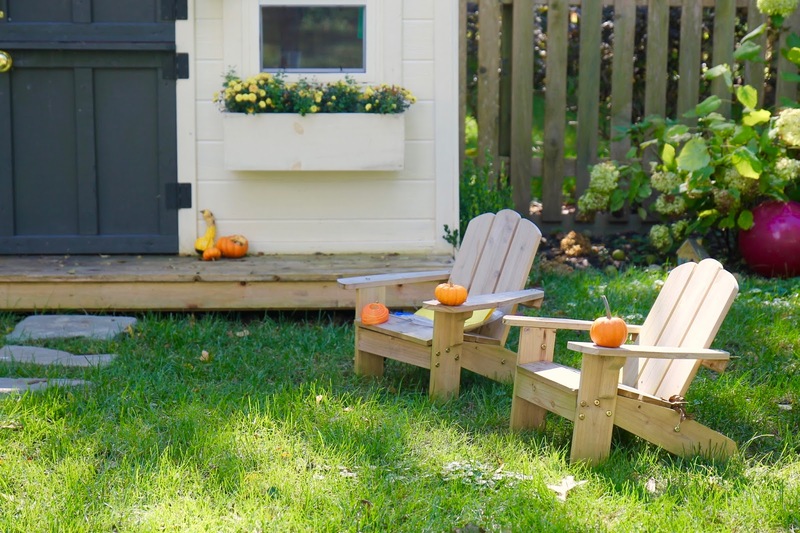 It is a great focal point for the kids when we have other families over, too. Just going in and out is enough for the littles, and setting up a fort or hideout has entertained the older kids, too... and I don't have to worry about someone falling off the monkey bars. Here you can see the big Annabelle hydrangeas that take over in the summer. I can't believe that they will be this big in just a couple of months. Here is the playhouse at the beginning of fall. 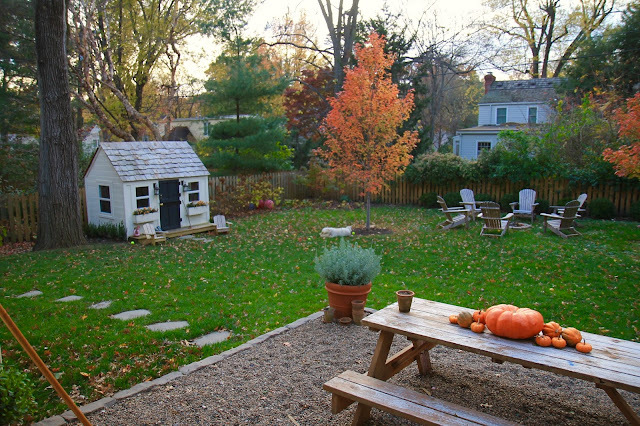 I love the charm it has added to our backyard. 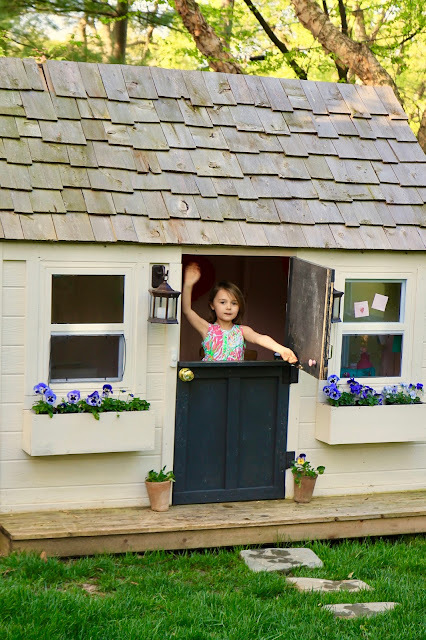 Even at night, Emma lights up the globes inside and the little solar lanterns on the outside give a soft glow. 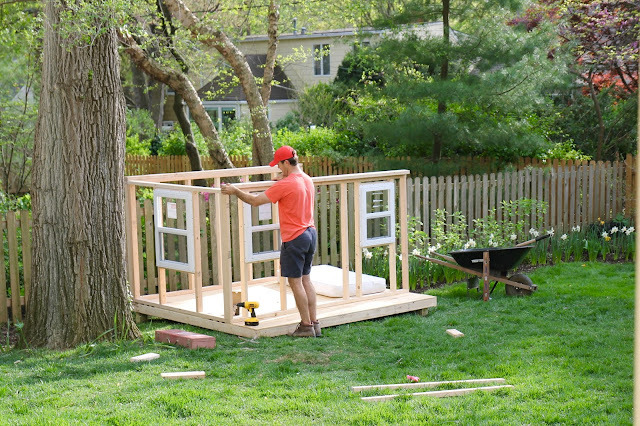 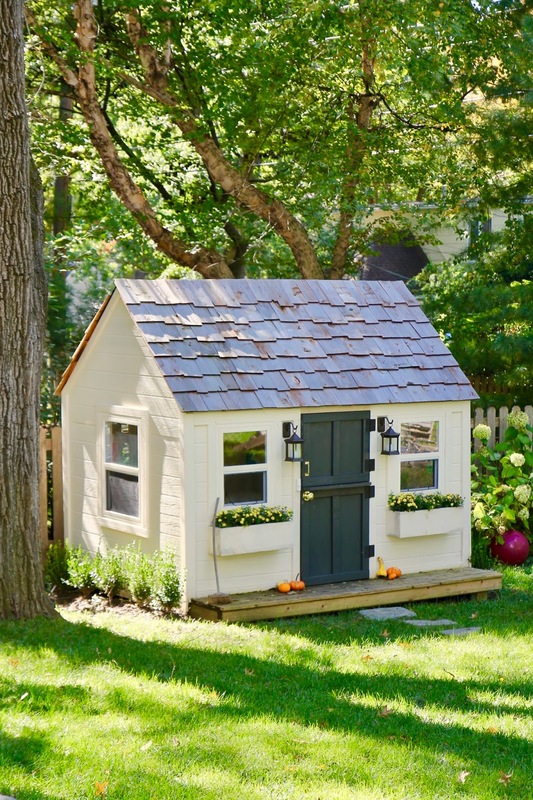 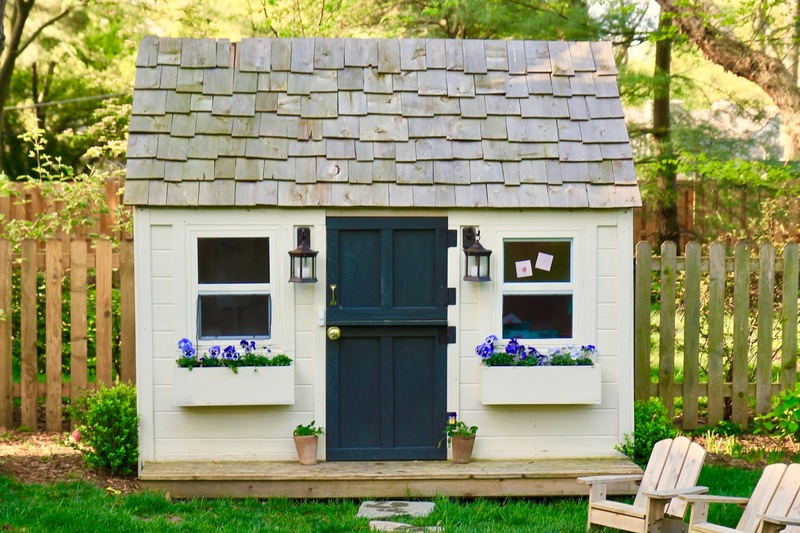 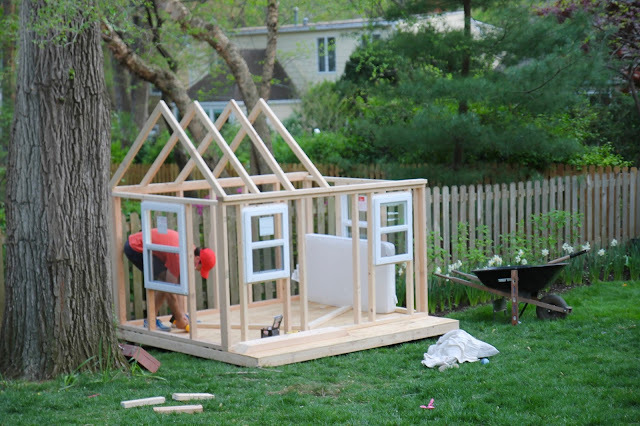 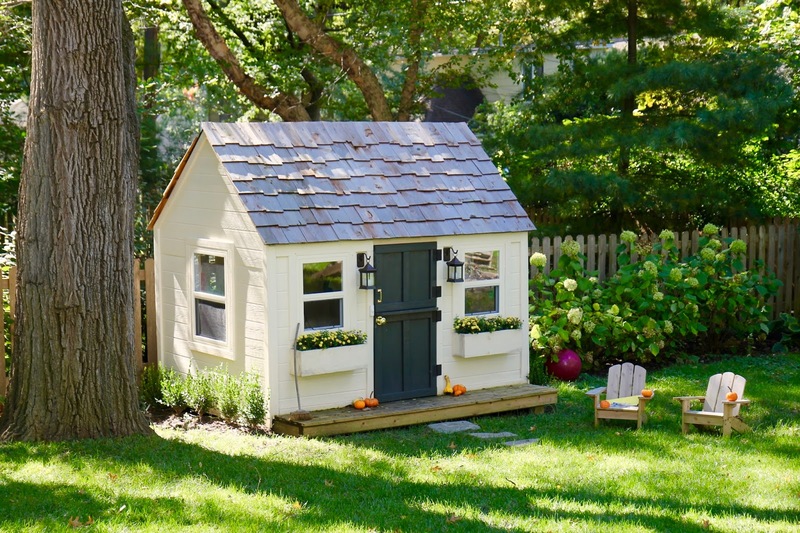 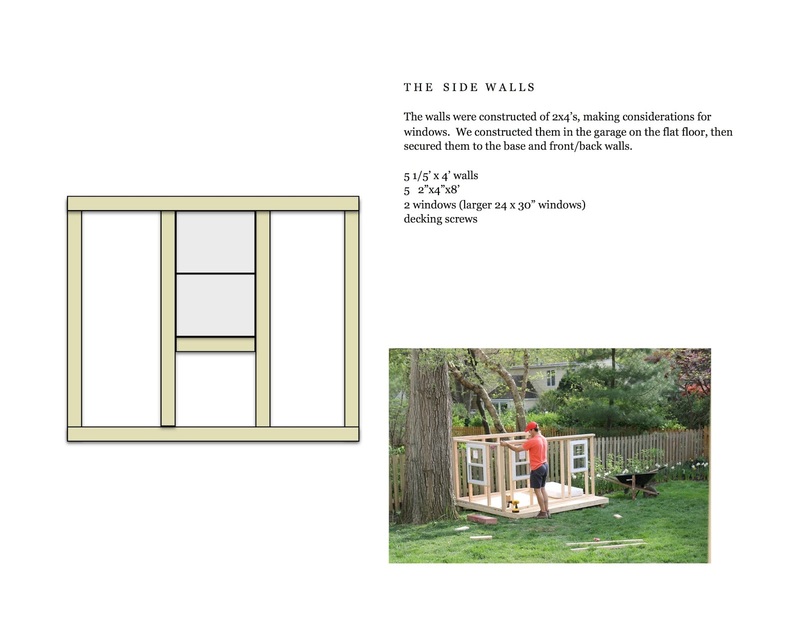 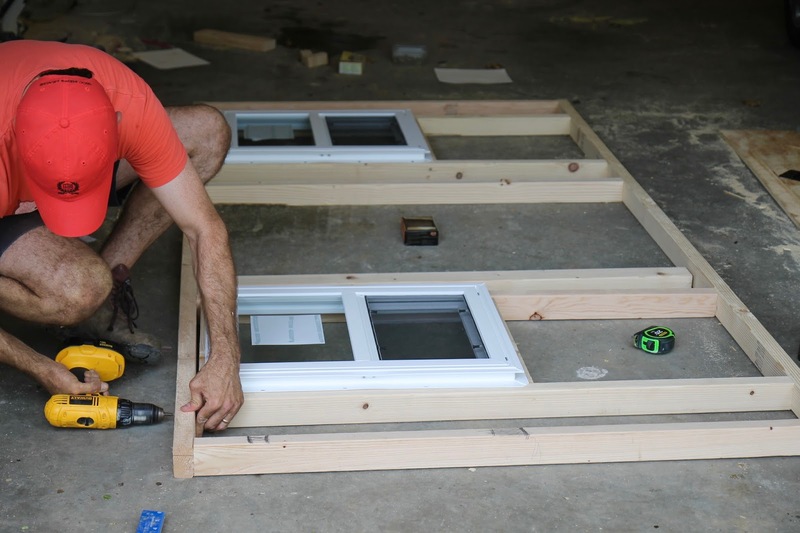 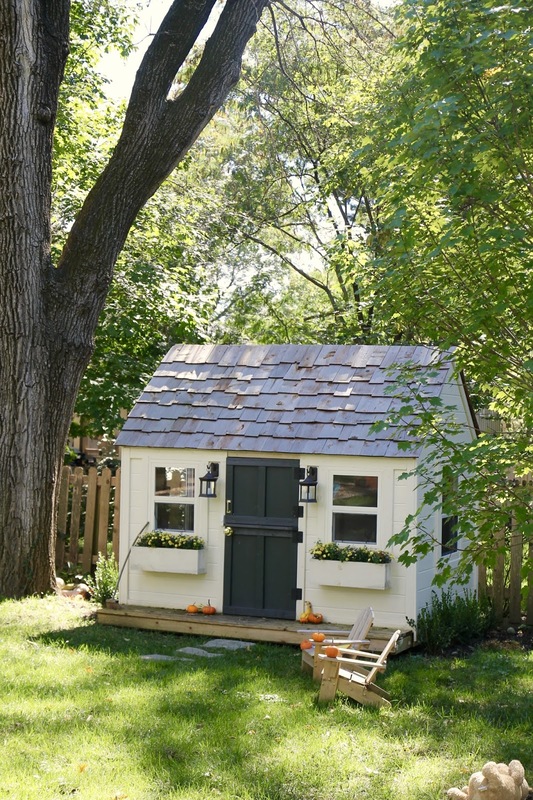 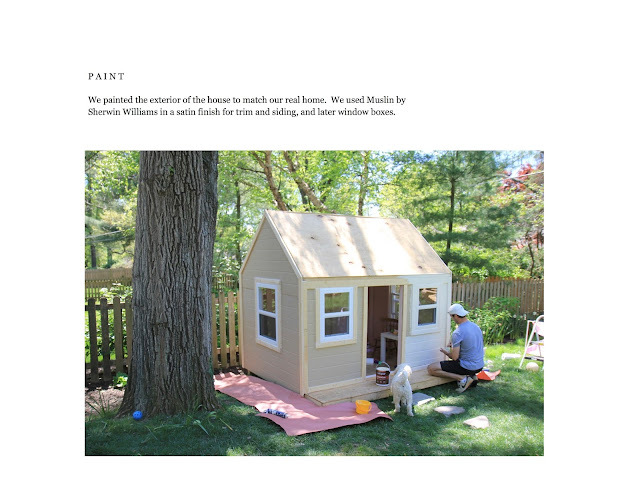 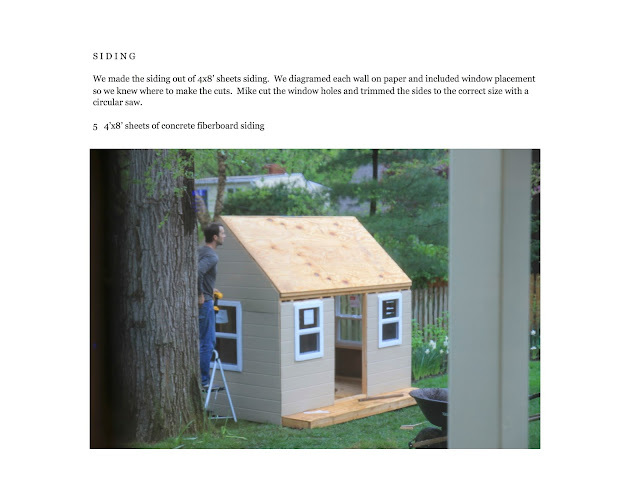 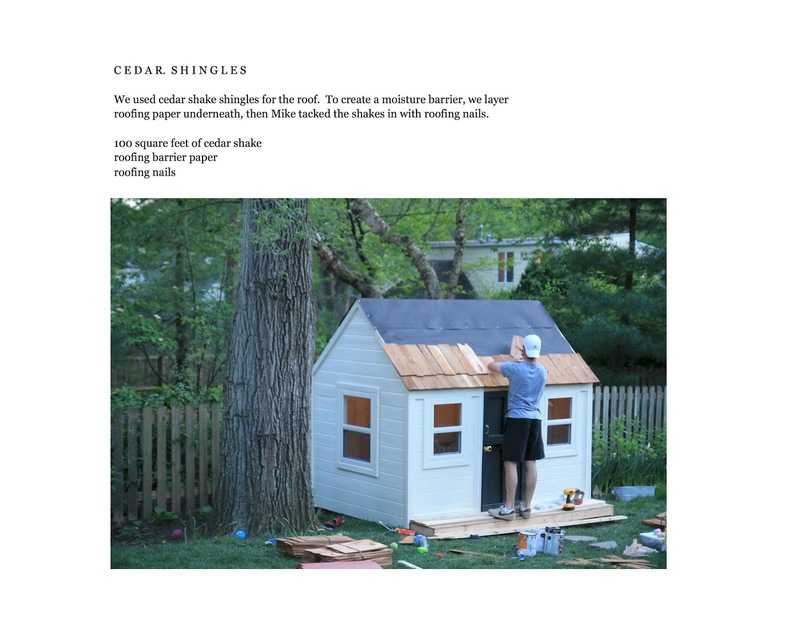 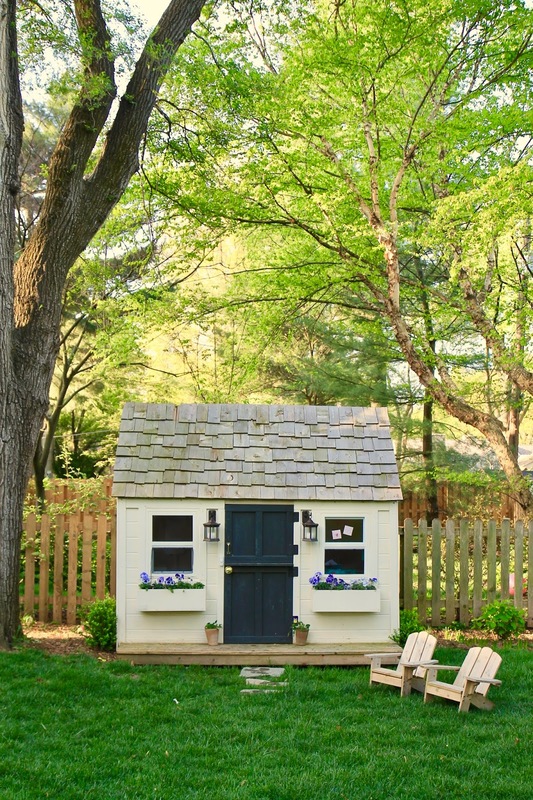 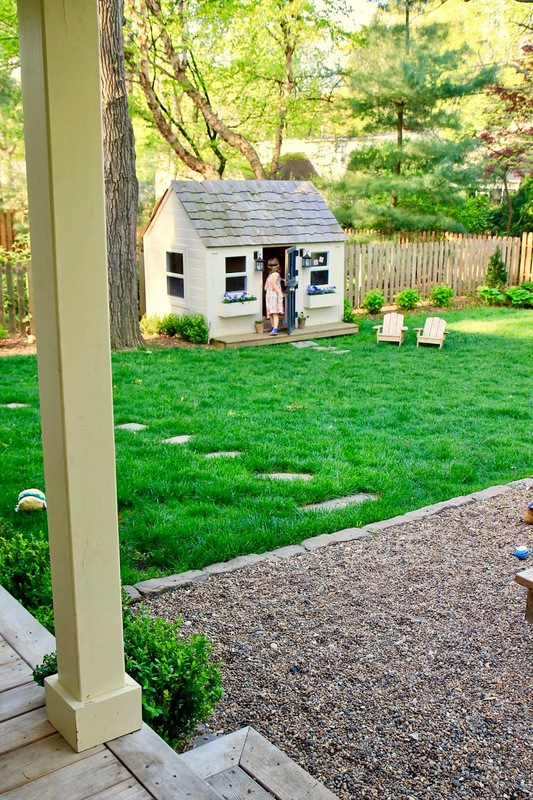 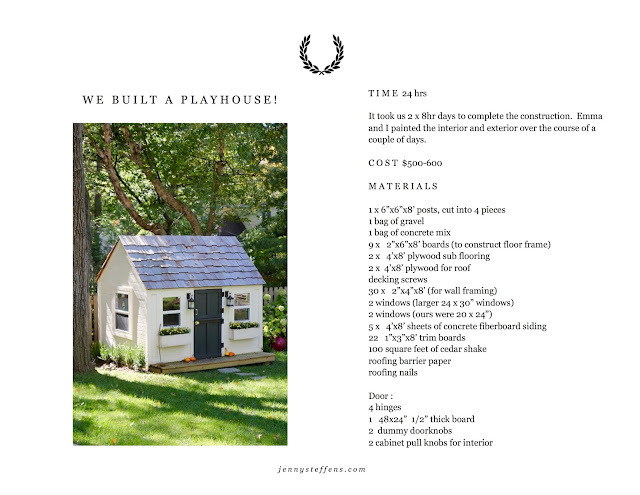 This is for those of you interested in building your own playhouse. 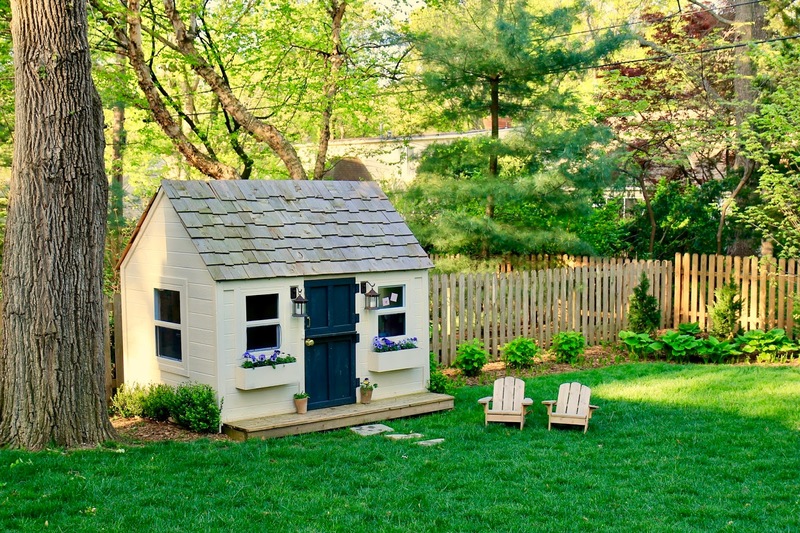 The skill level is minimumal! Mike and I enjoy building things, but we are not always happy with how they turn out - this is the first project that we are both 100% thrilled with. 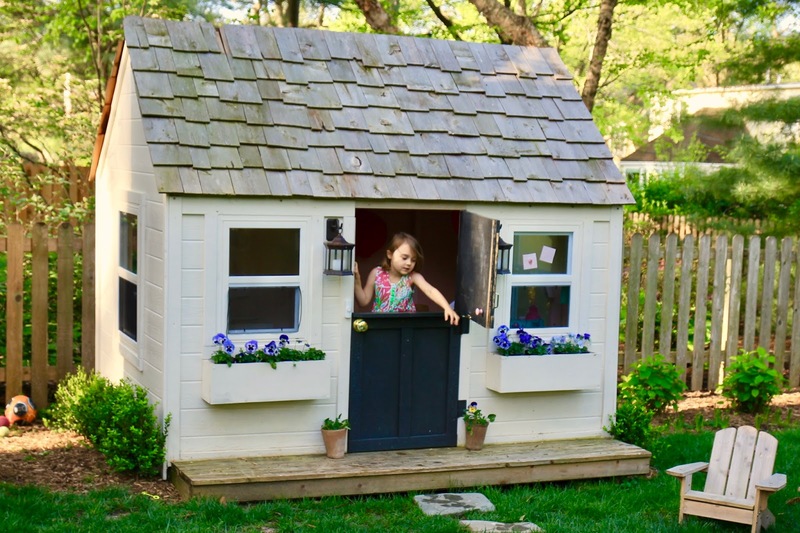 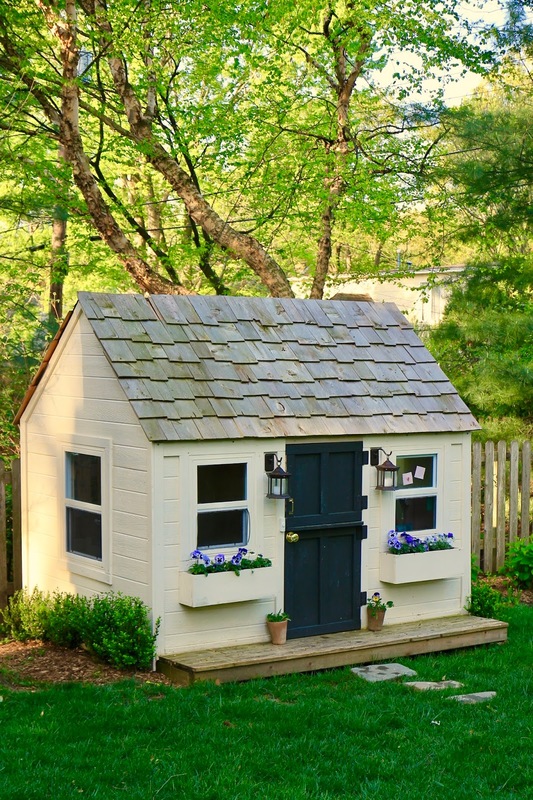 The imperfections are perfectly suitable to a playhouse : ). 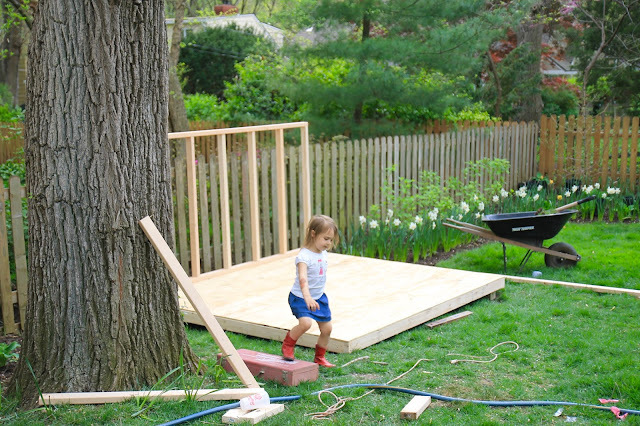 The only real tools we needed besides those listed is a power screwdriver, circular and miter saw. You can rent those from Home Depot, if you don't own them. 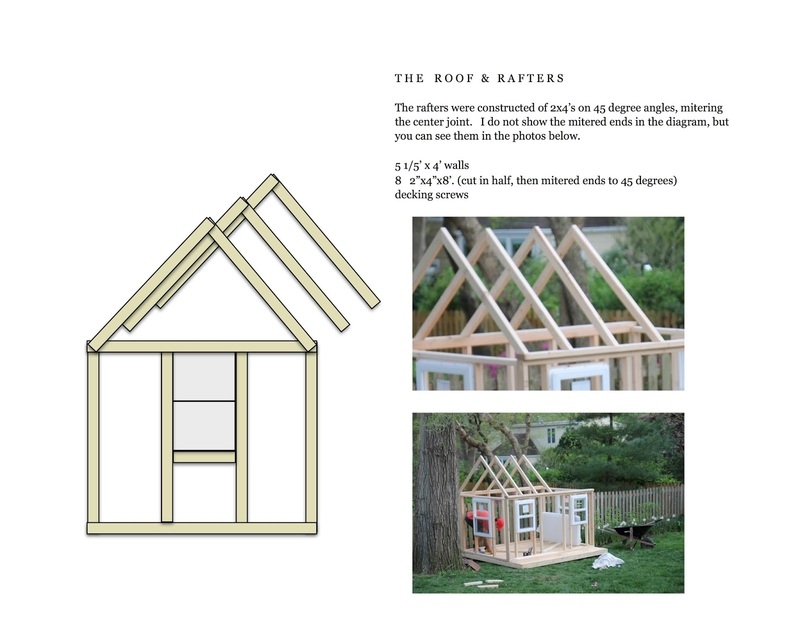 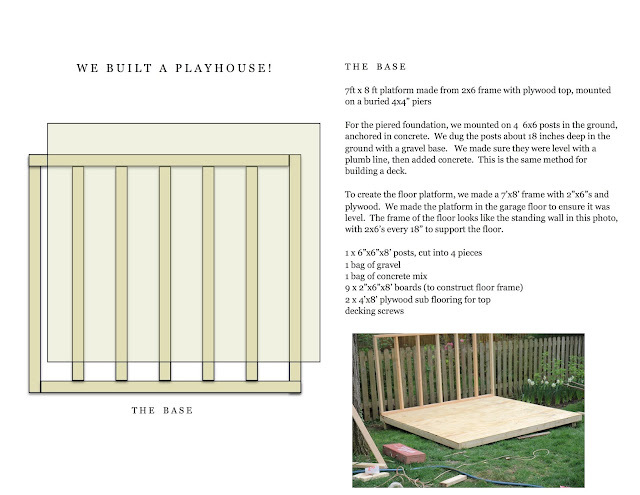 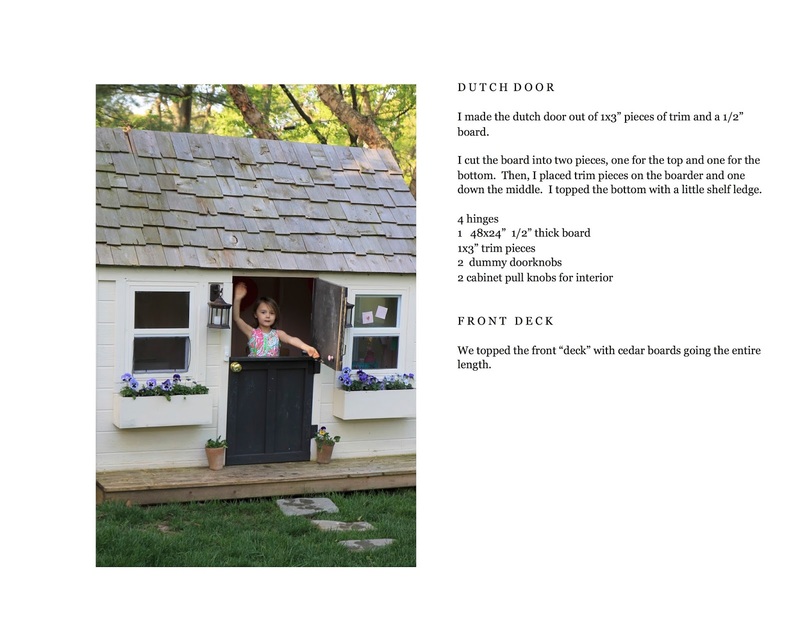 I'd love to hear if you plan to build your own playhouse, as I've received so many requests to get these plans up on the blog!